WHY DEAN JONES FOR YOUR REVERSE MORTGAGE? All loan fees are financed with the possible exception of the Independent Counseling session that is paid directly to the HUD approved agency. No out of pocket cost for the appraisal fee as I will finance this cost upon the successful completion of the Reverse Mortgage. 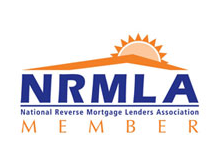 Some of the Best Guarantees in the Reverse Mortgage Industry! Let me guide you through the process of this special loan program!